Trying to view a site from a downloaded backup using Local. I’ve fixed various issues, and I think this is the last one now! But I don’t know what to do with it. Remove or deactivate the Easy Spoiler and Smart YouTube plugins. Thanks. I’ve done that. Errors have gone! Now whenever I try to view the site or admin I just get a blank screen. Strange. 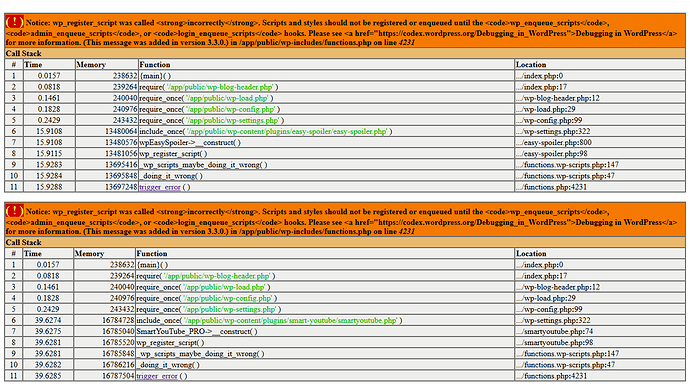 You clearly have WP_DEBUG set and any error like a WSOD should show something. Any idea what I can do next? If there aren’t any other errors showing I don’t really know what additional recommendation I can make. If you have WP_DEBUG set to true and there is only a white screen on both the frontend and backend something is very wrong. At this point it’s impossible to say where the issue is. Maybe going back and describing in detail the steps taken starting with what created the backup and then how it was imported might help. So I downloaded a backup and a database from my host and now have it on my laptop. I zipped them together and imported it. 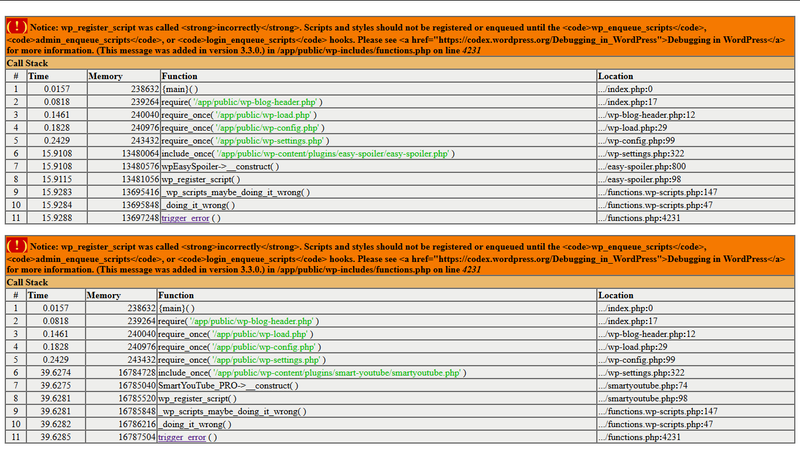 Then I had to manually update wordpress by copying in the files. I changed to custom up to 7.2 PHP but I think that caused issues so switched back to 5.6. Don’t know if that may have left some residual issue. Perhaps a backup from a plugin like Duplicator might be better? I think using it is a simple drag and drop into Local for an import. Not sure if I can add plugins on the hosting any more as I stopped paying for the domain. Am planning on canceling the subscription which is why I want the site offline. Tried again today. I think restarting Local might have helped. Strange. Now it’s gone back to just giving me the white screen. From the error log it appears as if there’s a database issue. I’m not sure I can help much with this. Thanks for your efforts afragen. I really have no idea why this is so difficult. This was a functioning site online. Should have simply been a copy and paste job. I’m not very good at this behind the scenes tech stuff, so really have no clue where to look. Unfortunately I don’t think I can use duplicator as I no longer have a live site. Simply hosted files. I will have that for about 30 days unless I buy another subscription, which I want to avoid. Can you put the files online somewhere? If I have some time the only thing left is to try it for myself. My zip file backup is almost 4GB. Not sure how I’d get that to you. I think if I take out some image files etc I might be able to cut the size down and then maybe send it to you by Wetransfer. If you are able to make it work, then maybe I can just copy and paste them back into place on my end. If you omit your wp-content/uploads directory it’s likely to reduce the file size dramatically. I can deal with broken images. Just remember you’ll need to add it back. Can you give me an email to send the WeTransfer link to please?